Muay Thai is the national sport of Thailand and a way of life for many people. 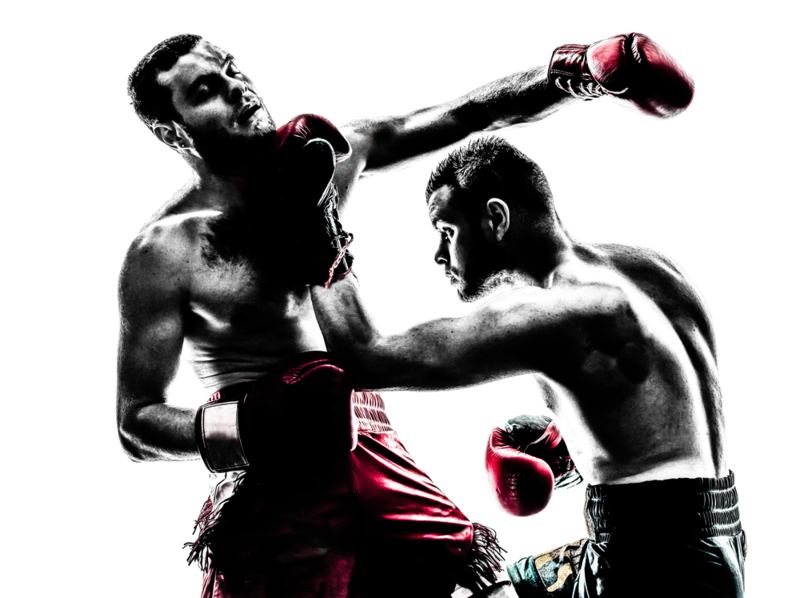 Although there is little in the way of written history, the origins of Muay Thai date back over 2000 years, originating from a fight form known as Muay Boran. The sport wasn’t always viewed in the same light as it is now. 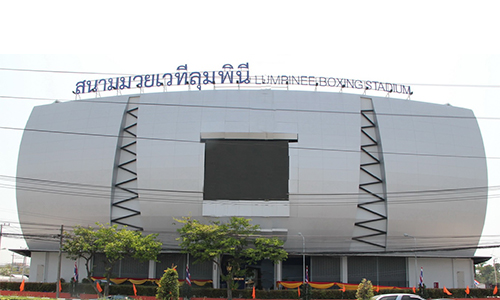 However, with reports that the Tourism Authority of Thailand (TAT) has pledged to give full backing and support to the new Lumpinee Boxing Stadium which has recently been completed on Ram Intra Road in the east of Bangkok, this revamp signifies how far Muay Thai has come to be accepted by foreigners and Thai locals. The plan is to ensure that the stadium not only draws local crowds but also becomes a must-see cultural attraction in Bangkok, recreating the glory of the old and much-missed city centre venue. As a reference, the stadium will have state of the art technology and while the old location housed bouts from some of the world’s legendary fighters, the new location is more accessible to locals and tourists. But why is this big news? Let’s take a look at two different fighters – one American born and the other, a native of Thailand – on how the rise in popularity of this sport helped tourism and gathered support to re-open this legendary stadium. We were able to meet with two fighters – Aaron Fisher, co-owner and head trainer of Kings Thai Boxing in New York City and Watt Sriboonruang, a Thai native who now lives in New York City and comes from a family of fighters – about how the sport became more widely accepted by the masses. We chose to profile both these fighters because they do represent the evolution of the sport’s popularity. More on that below the image. Watt, who was born and raised in Thailand, said she wasn’t really interested in Muay Thai because she wanted to try a sport that wasn’t native to Thailand. Similarly to many Thais, Watt viewed Muay Thai as a career, not a recreational sport. Muay Thai was something Thais did for a career and a way to earn money. For years, Watt actually did Brazilian Jiu Jitsu because she viewed it as cool. While many Thais didn’t view the sport as recreational, foreigners had a different point of view. Several people traveled to Thailand to train like locals, which helped spread awareness for the sport. In fact, MBK Shopping Center has boxing ring now to showcase fights, making it more accessible to Thailand’s youth and to instill a sense of national pride for Muay Thai. Having this sport associated with a high-end shopping center definitely puts the sports in the radars of people who may not have considered watching a bout. 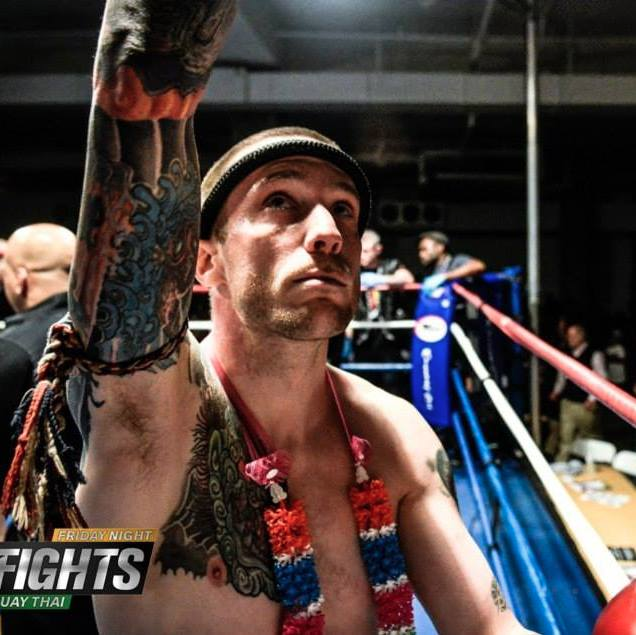 Aaron originally learned Muay Thai in a gym in Toledo, Ohio and fell in love with the sport in the late 90s. Aaron mentioned that his instructor was from the Marine Corps who learned the sport when he was in Thailand. Yearning for more education for the sport, Arron traveled to Phuket in 2004 to study at Rawai Muay Thai. At that time, he trained with mostly locals but now there are a lot more foreigners who train as well. He wanted to learn how people in Thailand learned the sport so he could have a better understanding for its tradition, and overall, have a greater respect for the sport. Despite traveling to Thailand, Aaron, like many foreigners, wasn’t readily accepted by the community given many others would come to train and then leave after a few short weeks. However, many others would skip training sessions or stay in better accommodations. He went to remain in Thailand for 6 months, earning the respect of the locals. Aaron’s dedication to the sport and commitment to immerse himself into the culture is just one example of how outsiders helped popularize the sport. Like Aaron, many people travel to Thailand to immerse themselves in the culture while learning how to fight, which is how the popularity continued to spread. While the old Lumpinee Stadium closed, the revamped one signifies how important Muay Thai has come to be for the country and its fans. Don’t take his comment as a negative – while the era of what people may have associated with the stadium has ended, the new stadium brings to light why this sport is global. The new stadium will be modern and shows more investment in the sport. Many fighters like Aaron will miss the nostalgic feeling you get walking through the doors and getting goose bumps of envisioning memories of some of the most iconic fights. “You could look at the ring and see 50 years of fighters,” Aaron concluded.